Flogometer for Gargi. Would you turn the page? 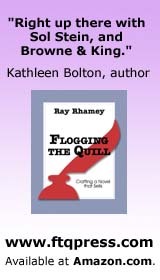 How about a review of FtQ (the book)? 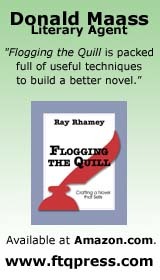 If you’ve read Flogging the Quill, Crafting a Novel that Sells, either one you’ve purchased (thank you very much!) or an advance review copy, I’d appreciate your posting a review on Amazon.com. Just click here and scroll down to the Customer Review section—there’s a button on the right. Thanks in advance. On a stifling Monday morning in June, the boss sent me a one-line missive demanding a meeting at eleven. The prospect of telling me I’d been nominated for the Whiz-kid of the Year must’ve ruffled him, for he’d refrained from cramming his stream-of-consciousness sentences into the subject line, which he was wont to do. No woman in Whiziant had ever won the award, despite several being recommended for it. I planned to be the first. After a quick look-through of my inbox, I grabbed my ‘Go for it Whiziant’ flask and headed for the pantry. The aroma of freshly prepared coffee floated in the air. I found Vik facing the coffee machine, clanking his spoon around the insides of the cup. He jerked his head up on hearing the tap of my pumps against the tiles. I mumbled a greeting in return, masking my desire to haul him into a room filled with wax strips and peel the hair off his shaggy arms. After a quick look-through of my inbox, I grabbed my ‘Go for it Whiziant’ flask and headed for the pantry. The aroma of freshly prepared coffee floated in the air. I found Vik facing the coffee machine, clanking his spoon around the insides of the his cup. He jerked his head up on hearing the tap of my pumps against the tiles. Note to Gargi: I read through the rest of the chapter, and want to caution you against introducing so many names and characters. It became quite confusing. Also, I felt there needed to be some possible jeopardy ahead for this character, and there isn’t, really. We have a lot of talk about the need to fix bugs and shutting down the project, but not what that means to her. We end the chapter peacefully going off to dinner. I would have stopped reading at that point, if not before, when wading through characters. Two recent posts by blogging agents illustrate once again the importance of your first pages. They have to TURN. Without a doubt this was the biggest issue we found in the pages that were read: The openings lacked a sense of urgency that would have propelled the story forward or would have engaged the reader immediately in the story or the characters presented. Now don’t mistake me and assume that you have to have an action-packed scene or bombs going off or some hideous moment occurring. Having something at stake can be a small thing, such as a missing photo, but it’s not small for the character in the story. For example, you could have a woman searching for a missing photograph and perhaps this photo is the one surviving shot she has of her father and so there is real panic that it could be missing—maybe even forever. That she can’t find it, that she can’t remember when last she saw it, that maybe there is something coupled with it that makes this missing photo even that much more crucial to have at this moment in time. There is something at stake for the character. What do I think is the purpose of the first 5 pages? To get me to want to read page 6 (and hopefully 7, 8, 9, etc.). They don't need to be perfect. In fact, watch out for over-editing because that can make them seem stale. They do need to be exceptional. These pages don't need to have bombs going off or start with a big action scene. 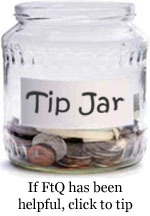 Though starting in media res can be helpful -- watch out for backstory that can bog down your opening. Someone recently repeated to me this advice: "Start the story as late as you can." Obviously, the whole story is greater than the sum of its parts. I'm not expecting to know everything about the book in just five pages. That's not why I'm reading them. I'm looking for a sense of things. The writer's style or voice, perhaps. A compelling character. A strong plot hook or concept. A taste that makes me want more. All they have to do is get me to turn the page and want more when there isn't any more. Pick up the nearest novel you have at hand and read the first page. What makes you want to keep reading? Or what makes you want to skip it for something else? The reason I bring these up is that, occasionally, a writer gets a flogging here and then I’ll see them talk about it on their blog, saying that, well, really, the gotta-turn-the-page requirement doesn’t apply to my jewel because. . . It’s a natural response to defend what you’ve spent time and effort crafting—I do it too. So go ahead and have that reaction. And then move past it. Put on your objective eyes and look for a way to start the story more strongly. You don’t have to throw away the original that you love, you just have to try to beat it. If, that is, you want one of these agents to ask for more. Kristen Nelson: Have something at stake. Jennifer Jackson: They need to be exceptional. Flogometer for DL. Would you turn the page? Free critiques & conversations with proof of purchase of my book -- a free critique of some pages or a phone conference about writing. 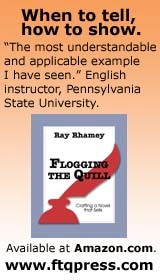 Details are on my web site—the free stuff button in the section on Flogging the Quill. I hope you’ll check it out. To order it from Amazon, go here. Brady Jones was an eternal optimist and he told himself the same thing every morning. Deep down he knew that most of the time it was simply lip service; a way of building his confidence and reminding him that on any given day his life could change for the better. The change didn’t have to be anything earth shattering; nowadays his expectations were set pretty low. This morning was different though, he actually believed his own pep talk. He sensed an added confidence surging through him, fueled by a combination of things. First, it was already May and the end of the school year was just a couple weeks away. That meant he was running short on time, and with it the number of opportunities available to him. He always performed better when on a deadline. Second, his daily horoscope on Facebook this morning read: Some recent quandaries regarding romance look set to develop today. There’s definitely the suggestion in the planets that someone new and exciting will fire you up. That sounded promising. Finally, and most importantly, his complexion was the clearest it had been in weeks, and his unruly black hair was actually being cooperative. Brady Jones was an eternal optimist and he told himself the same thing every morning. Deep down he knew that most of the time it was simply lip service; a way of building his confidence and reminding him that on any given day his life could change for the better. The change didn’t have to be anything earth shattering; nowadays his expectations were set pretty low. (The clause I cut in the opening sentence was the author telling us something, not the boy experiencing it. The second half of the sentence was more like showing us. The writing is clear, and there's a story waiting. Do we really need to watch this boy fuss over which shirt to wear, which is the most dramatic thing that happens in the first page? On the second page, he suffers the onset of a panic attack that promises trouble, but will a reader ever get there? Why not start with that, and then get positive about the day? Keep at it, but get to it!